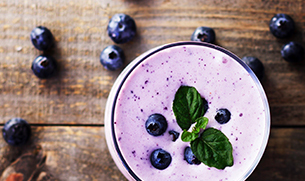 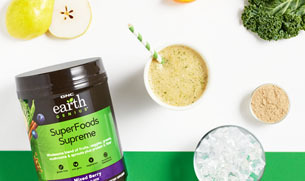 Slip away to paradise with each sip of the Tropical Sunset SuperFoods Smoothie, complete with GNC Earth Genius™ SuperFoods Supreme. 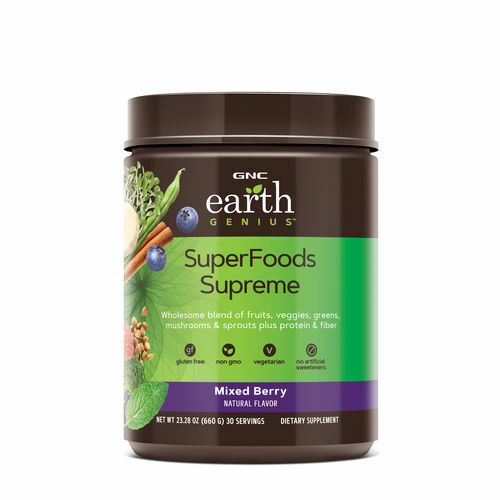 This superfoods powder contains 35 different superfood ingredients, plus protein, prebiotic and enzyme support. 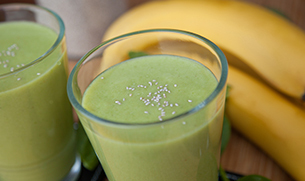 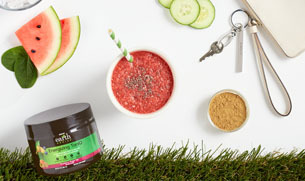 Blend it up, throw your shades on and pretend you’re at the beach.